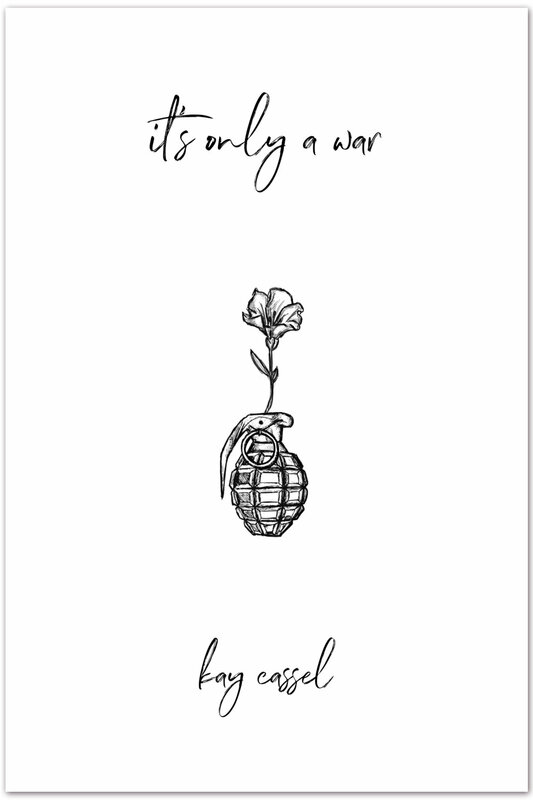 It's Only A War is a poetry book by Kay Cassel, a talented writer who I have known for many years. Kay has been producing poetry for as long as I've known her, and I am honored to have helped her by designing the cover of her book and getting its pages ready for publishing. I will post the link here when the book is ready for purchase! Happy now is an eBook written by my fiancé, Jake Zelinger, and is a transformative, 21-day journey. The book takes readers through three weeks of mindfulness and meditation exercises, and I rather enjoyed reading through it as I compiled the pages and designed the cover. If you want to add more life to your life, order the eBook! I designed this graphic to be the featured image for a blog post I wrote for ProjectorReviews.com. I took a stock image that originally had a small TV peeking out from the left side and replaced it with an image of a projector screen. 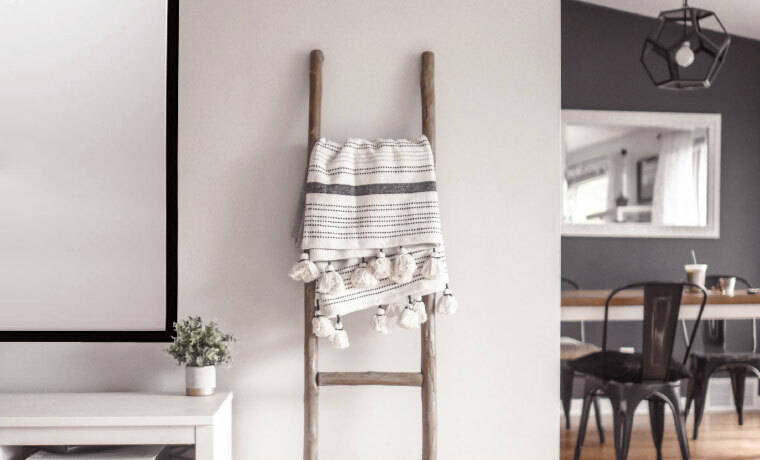 Since the ladder and blanket to its right is casting some soft shadows across the wall, I added shadows on the screen for continuity. This was a fun one. I'm a huge fan of Marvel's super hero movies, so getting to design a featured image for this blog post I wrote for ProjectorReviews.com was a real treat. In the post, I created 5 graphics - one for each movie - and pulled from past experience to do so. I learned graphic design when I was a teenager by designing video game box art images of my favorite games. Since there weren't 4K Blu-Ray box images for every movie, I had to Photoshop the box art onto the box itself, and I added a reflection for extra flair. For a good portion of my life, I was a balloon artist, traveling across Southern California to perform at children's birthday parties. I wrote a fun blog post for ProjectorReviews.com and designed this cute featured image for it, based of the design I did for a freebie contained within the post. That freebie was a customizable invitation, designed to look like a movie ticket, with these same elements. I designed Psychedelic Seeds' Inside Out EP with their love of travel and the dusty vibe of the music in mind. Part of a larger collection of music, their LP album, Wanderluster, Inside Out EP features two of their singles and three new tracks, including two epic instrumentals. 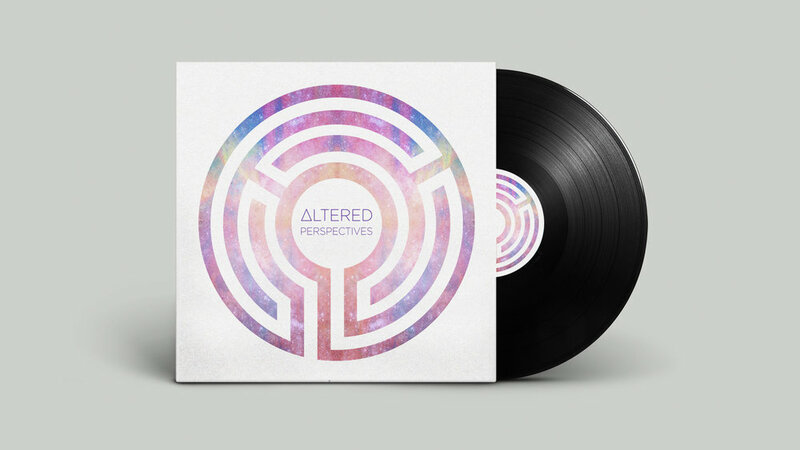 A collaborative effort between creative masterminds Greg Papania, Andrew Chapin, Antony Galvan, and Bernardo Vidal, Altered Perspectives is tuned to 432hz, layered with solfeggio and binaural tones. I designed this logo for the 2018 Spirit of the MACY Awards ceremony, as well as the awards graphics and typography for the ceremony's PowerPoint presentation that guided the show. The MACY Awards is a non-profit organization that celebrates and awards phenomenal high schools, and individual performers and tech crew for their theatrical performances across Southern California. I wanted to reflect a level of class for the ceremony's presentation, as it is a semi-formal event that - an event that these performers look forward to from the start of each school year, with each performance, until the Spirit of the MACY Awards happen in the spring. For that reason, I chose an art deco style font for MACY and complemented it with a retro-style font for the remaining words. OC Fun is a company that will always hold a soft spot in my heart, as it was founded by my brother and I was one of its first balloon artists. The company has since been purchased by one of the other artists and my dear friend, who asked me to redesign the logo. I designed the original logo in 2008, which wasn't much different, but this new one has a more modern vibe. Projector Reviews is a long time client I work with on a daily basis. I collaborate with editor Art Feierman on all aspects of his branding, graphic design, video, and social media. Over the last year, I've reviewed well over a dozen projectors for both the home and business and education applications, creating videos for many. More information about my work with Projector Reviews is available on the Writing page. This is the cover photo I made for my Content Creation Workbook Coaching Group on Facebook, from the product image on its landing page. The group is included with purchase of the Workbook, and the students in the coaching group are having great successes! I couldn't be happier.